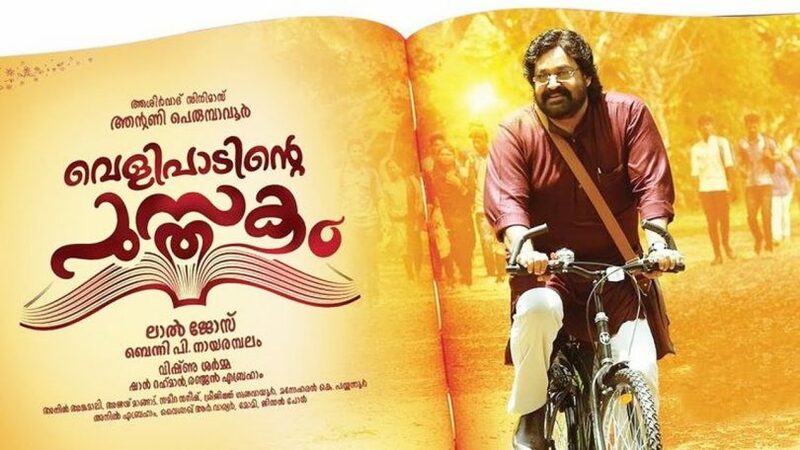 Velipadinte Pusthakam is a Malayalam film starring Mohanlal in the lead role. It is the story of a teacher who comes in a village and changes the lives of people there. No one but Mohanlal could have played this role better and carry the kind of aura that he does. Lal Jose as a director has been making films for 2 decades now and it shows in the process of his story-telling. Mohanlal’s confidence behind the camera is extraordinary with pitch perfect dialogue delivery. Mohanlal has made more than a 100 films now and his ability to cater the audience is something that can only be learned from experience. He can deliver a line in a way that mass would start applauding and also catches subtle nuances simultaneously. Anna Rajan who played the role of Lichy in 2017’s most acclaimed film Angamaly Diaries is playing a character called Assistant professor Mary in this one. Written by Benny P. Narayambalam story of the film is quite predictable yet screenplay is engaging. Comic element in the film has been done through dialogues and over the top comedy is avoided. The cinematography of the film incorporates an interesting color palette which lits up the most uninteresting looking village. Editing is quite fast paced but thankfully not faster than the screenplay. Jose’s direction is impeccable as he catches the nerve of each and every character in the film. Over all Velipadinte Pusthakam is a wholesome family entertainer and will be watched openly.